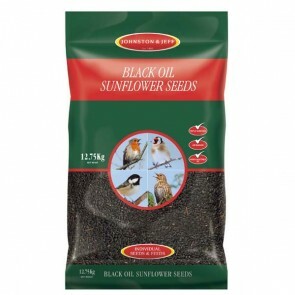 We stock a wide range of high quality single seeds or straights, including specialist seeds which can be fed to the wild birds that visit your garden or cage and aviary birds, that you can blend with other single seed varieties, including blended bird foods to create your own food to meet your individual needs. All our single seed straights are competitively priced and available in bulk sizes with selected free delivery saving you extra money, so please visit the Wild Bird Food page on this website to view the range of Premium Wild Bird Foods, Peanuts, Granules, Black Sunflower Seed, Sunflower Hearts, Fat Balls, Niger Seed, Mealworms and Hemp Seed. 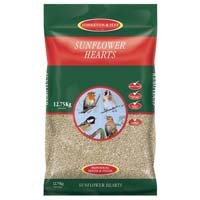 While it may be more convenient to purchase your bird food already mixed for you, it's more economic to buy straight seeds in large quantities and mix them yourself rather than buying small expensive bags and you'll also save the VAT too, as it's NOT charged on straight seeds or complete wild bird foods that weigh 12.55kg or more. That's why you will often find sizes for sale in pet shops or online that are over 12.55kg, as it allows bird food and straight seeds to be more competitively priced if you buy them in bulk sizes! For specialist blended bird foods, please visit the Cage & Aviary Bird Food, Parrot Food, and Egg Biscuit, pages on the website for EMP, Kaytee, Aviary, Budgie, Canary, Parakeet, Finch, Cockatiel, Mynah, Parrot Seed and Fruit Mixes. Bird Straights: 5 stars out of 5 based on 21 user reviews. Friendly and efficient customer service. Prompt delivery. Wonder if the birds need therapy for their addiction since they are on their fifth sack in as many months. Great product - no dust or waste. Excellent service very quick delivery, excellent quality no other company like it. The delivery service was excellent - very good communication and speedy. The birds are enjoying the seeds! This is the third sack I have bought, it's quite suprising how much and how quickly the 'little darlings' can eat them. As far as I am concerned this is a high quality product. These sunflower seeds, which I have been buying for some time, are excellent. The birds visiting my garden love them, so much so that they will no longer eat ordinary seed mixture. They are prompt, courteous and deliver when they say they will. The bird food goes down a treat with the various species (four-legged and two-winged) in our garden.